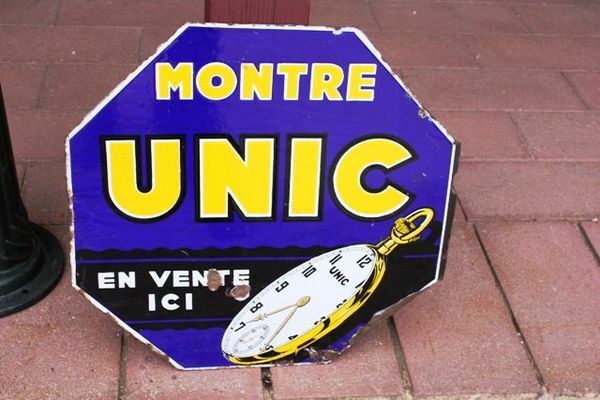 Vintage Unic Watches Double Sided Enamel Sign. Vintage Unic Watches Double Sided Pictorial Advertising Enamel Sign. good honest sign.